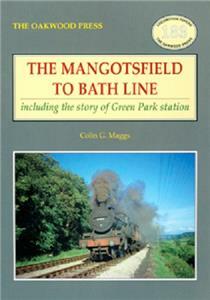 For almost 100 years the Mangotsfield-Bath line provided a direct rail link from Bath to the Midlands and the north of England. Originally built as a branch with a splendid terminus at Green Park, the line took on greater significance once the Somerset & Dorset line had opened, which enabled trains to run through from the north to Bournemouth. Numerous industries along the line supplied a variety of goods traffic and local passenger trains ran through to both Bristol Temple Meads and Bristol St Philip’s stations. Fortunately this story is not set entirely in the past. Part of the route has been preserved by the Avon Valley Railway from its base at Bitton Station. A5 format, 176 pages, 200 illustrations.